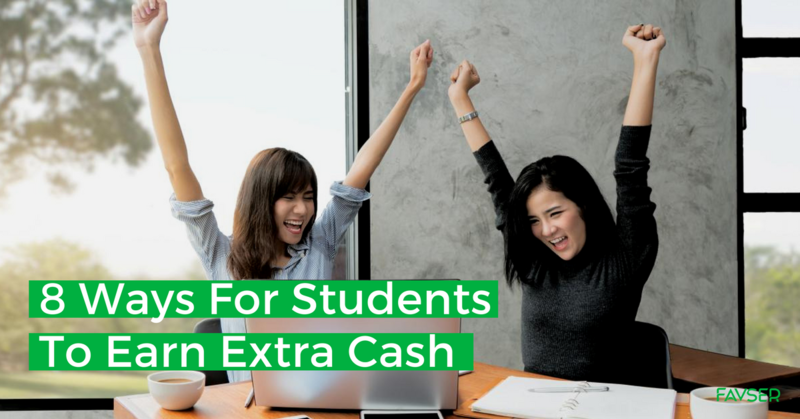 Ways For Malaysian Students To Earn Extra Cash - As the cost of living rises, more students are taking up part-time jobs to get extra cash. Chances are you have bought products online before. Why not consider being a seller instead? Broad range of customers (national/international). READ MORE: HOW TO BECOME A SUCCESSFUL FREELANCER IN 3 STEPS? In short, operating an online business may seem easy, but it is as time and effort-consuming as a physical business. With proper planning and execution, many have found success in online business. As a dropship agent, you own a business without the hassle of handling products. You are responsible to promote your chosen supplier’s products under the name of your own business. After receiving payment from a customer, you will pay the supplier. The supplier will then send the product to the customer under your business name. No stocks needed. You no longer need to store, receive or send out stocks, as the supplier does all that for you under your business name. Set your own profit margin. Competition, as many others are selling similar products. Lack of quality control. As the supplier sends the products directly to the customer, you cannot personally check the product quality. If customers receive poor quality products, you may lose credibility. Refund and exchange policies and delivery time differ with different suppliers. It is fairly easy to set up a blog especially if you love writing. However, effort is required to find a suitable niche, design your blog, produce tip-top content and attract people to your blog. It will be a steep learning curve to get everything right, especially for first-timers. You do not have to do everything alone-seek help from others or freelancers when necessary. When you have built up a following, monetize with AdSense and Nuffnang or be a product reviewer to receive free products. Affiliate marketing is one of the ways bloggers generate money from their blogs. Affiliate marketers put special affiliate links on their blog posts or social media posts. When a person clicks that link and buys from it, the marketer will get a certain percentage of the money spent. This process may differ slightly between different affiliate programmes. The most popular ones are Amazon Affiliate Program, ClickBank and Wealthy Affiliate. Do research properly on their pros and cons before going into them. In Malaysia there are local affiliate programmes eg Lazada Affiliate Program, Uber Affiliate Program, Zalora Affiliate Program , etc. However, you need a certain number of blog visitors before you are eligible to be an affiliate for certain programmes. Tip: the main trick for affiliate success is driving large volumes of traffic to your website/post! Freelance by listing your skills on these platforms for free. Freelance websites are similar to job recruitment websites, in that many clients will look for freelancers through these websites. Freelance locally with Favser ,Malaysia’s fastest growing freelance platform. Or choose to freelance with international freelance platforms such as Upwork, Freelancer and Fiverr. Alternatively, find freelance work by actively approaching potential clients. Technical skills are required to develop apps, but one can always learn. If your app is widely used, it can generate a large income through advertisements. Alternatively, you can buy the source code from Chupamobile or generate apps using Appypie. If you watch videos from Youtube frequently, why not produce some videos of your own instead? There is no limit to the type of videos that can be produced. Set your creativity free and experiment with various types of video content ie vlogs, tutorials, performances or short films. The skills you learnt will also be useful for school projects! If you have a driving license and have what it takes, have a go at being a Grab driver. Besides earning money, you can also brush up on your soft skills as you meet new people and build relationships. Who knows, you might meet your future employer or your new best friend! READ MORE: IS FREELANCER ECONOMY THE FUTURE OF MALAYSIA WORKFORCE? Before choosing a part-time hustle, remember to research extensively and avoid hasty decisions. Learn something from each experience, be it failure or success. Most importantly, consistent effort will always pay off at the end of the day-be it in school or your side hustle! Ready to join Favser as a freelancer? Sign up today-it only takes a few minutes!